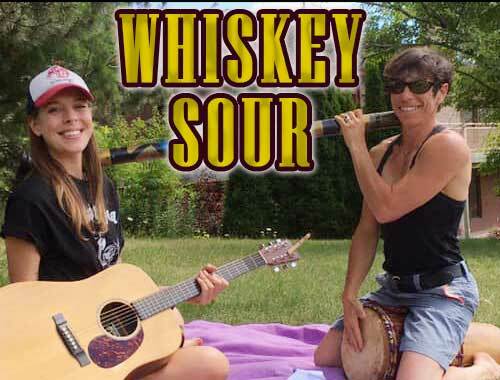 WHISKEY SOUR is the duo of Jessie Steinberg and Hannah Chapplain. Jessie (photo right) brings a lot of joy and energy to the room playing percussion instruments and more, on popular music with her friends. Jessie also leads the weekly Drum Circle sessions at FAN/JOY, being held on early Tuesday evenings, 6 pm – 7 pm. We look forward to appearances over the coming months on our Live Music weekends.